The ageless Tom Brady has once again led the New England Patriots to the Super Bowl. This will be the ninth time Brady will play in the big game. In 18 years. Did we mention that he’s 41? 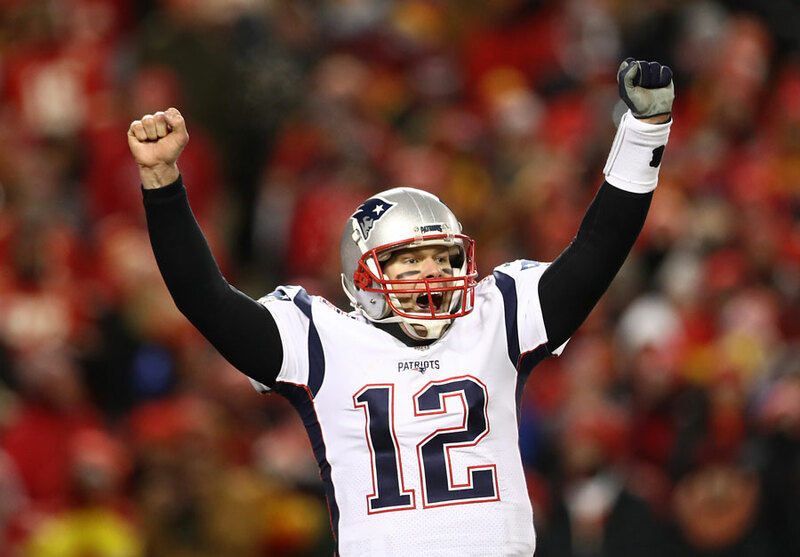 In leading the Patriots to a stunning overtime victory over the Kansas City Chiefs, old-man Brady managed not only to deal with frigid temperature and knock off 23-year-old super quarterback Patrick Mahomes, but he also silenced all those critics who dared suggest he is getting too old to play this game. For much of this season, sportswriters and former players have all been writing Brady’s obituary—he’s losing it, can’t throw anymore, he’s too slow. I thought he was too. It certainly didn’t look like any of that was happening last night, as Brady had more zip on his passes than we’ve seen all season. He made all the right decisions and even threw in one of his coolly managed game-winning drives— converting three long third downs and making all the right plays—that bore all the hallmarks of his past greatness.